Law is a system of rules, usually enforced through a set of institutions. It shapes politics, economics and society in numerous ways and serves as the foremost social mediator in relations between people. The Sanskrit word Veda itself has the meaning as "Rule" or "Law". Atharva Veda tells a lot about law, litigation and the spiritual ways to come out of the problems. The argument is the court of Law is called as "Vaadham". The argument in the court of Almighty God is called as "Mantra Vaadham". As the attorneys are familiar with the laws of the country, Swamiji Sri.Selvam Siddhar (Dr. Commander Selvam) is the most expert attorney in doing the spiritual arguments (mantra vaadham) in the court of Almighty God. As there are many classes of judges, there are many steps or protocols in the court of the almighty. The Almighty God is the most superior judge. 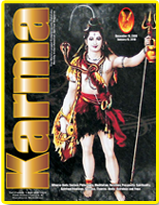 The Yaksha/Yakshini devathas are considered as the magistrates of the next grades. Some cases are finalized by the County court magistrates, some are finalized by the district court, some are finalized by the superior court of the states and some are finalized by the federal courts. Like that the problems are solved by the Yaksha/Yakshini devathas. Even though the attorneys try at the court of law, the cases or litigations are to be tried under the law of Vedas in the court of the almighty. Swamiji Sri.Selvam Siddhar (Dr. Commander Selvam) is the most experienced attorney in arguing the cases with the judges of the divine court. Even though there are a lot of legal litigations they are divided into two major parts as civil and criminal. In some countries they are divided as felony and misdemeanor. Even though the attorneys study all kinds of law they specialize in one field. But Dr. Commander Selvam (Swamiji Sri.Selvam Siddhar) is specialized in all fields of spiritual law. He argues in the court of the Almighty.